​Darta Systems, a Canadian-Russian biomedical startup, launched their Emvio watch that measures stress and helps users to simplify everyday stress management. Emvio uses heart rate variability and a proprietary algorithm to calculate stress levels, and is meant to be used all day, every day. 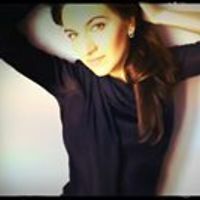 It is this algorithm and the sensitivity of the optical sensors that make Emvio unique among other stress wearables that have come onto the market. Emvio can help leaders and people working in fast­paced environments. It can also help people with busy family or personal lives, so that they can moderate their responses in the heat of the moment. So, how does Emvio measure stress? After Emvio measures heart rate variability (HRV is not just pulse but the time between pulses), the watch uses its patented algorithm to convert these HRV measurements to calculate stress level on a scale from 0 to 10. If one’s stress level stays in the yellow zone (4­6) for several hours, or veers into the red zone (7­10), Emvio will vibrate and show a yellow or red indicator light. Emvio also notifies users as stress levels return to normal. Its scratch­resistant display shows data discreetly, so that only the user can see it. 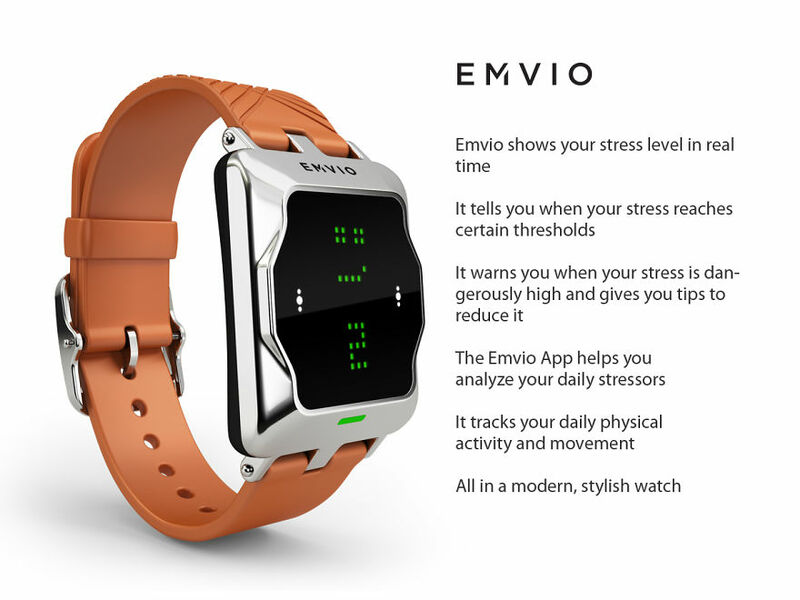 In addition to measuring stress, Emvio also tracks pulse rate, physical activity, calories burned, and steps taken. How does Emvio manage stress? Even without a smartphone, users can use just the watch to monitor stress by using the simple touch sensors for navigation. However, the Emvio app offers stress­management tips when stress levels are dangerously high. The app also encourages users to record their stressful experiences so they can use their personal data in the future to uncover counter­intuitive stress triggers. Users can also use the app to share their experiences through social media, for status updates that are rather more accurate than usual. 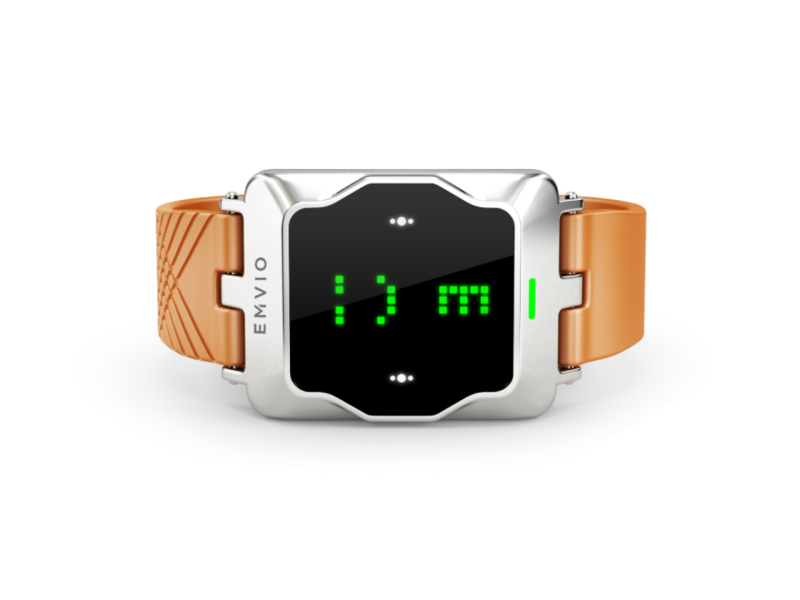 Emvio will be first available with a plastic body in men’s (dark gray) and women’s (white) versions, both witha slate gray band. The second and third waves of Emvio watches will feature more color options for the bands (white, black, lime green, fuschia, and cherry red). No other watch so far can constantly measure the level of stress. Except for Emvio.